After „refreshing“ my ZX Microdrive cartridges felt-pad-wise the next step was to check for the data. My aim was to backup as much as possible from those old media, make a brave FORMAT “m”;l;“name” and re-write software and data back to the cartridges which still seem to be operable. And of course hold a backup on other media – preferable as a emulator-readable *.mdr-file (MDR-Format). 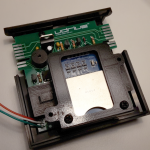 While I thought about a strategy how to rip off the data from cartridges and secure it to tape or other media I learned about this project: The vDriveZX. Wonderful – a hardware emulation of the ZX Microdrive, fully compatible. It even fits physically into the original ZX Microdrive case. 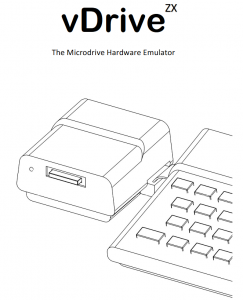 It emulates up to the maximum of eight drives and can be combined with a real ZX Microdrive. It saves it’s data as *.mdr files on SD card. Perfect solution! The inventor (Charles Ingley) of this ingenious piece of hard- and software lives in New Zealand – so for me it’s more or less the other side of the planet. 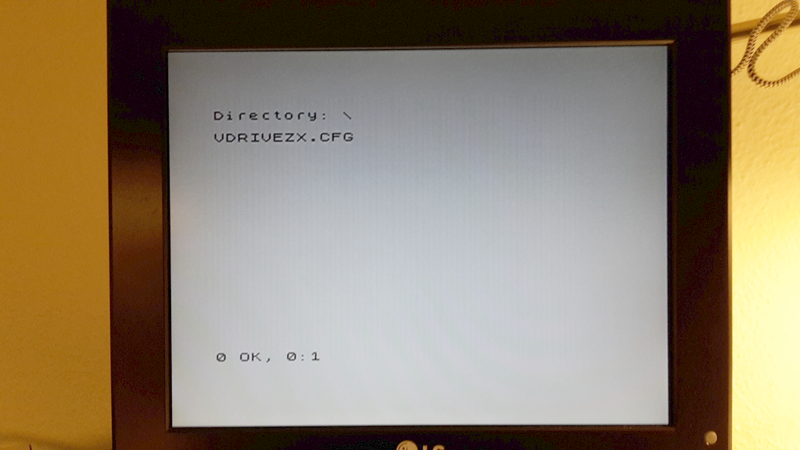 Due to obvious reasons he can only produce small batches of vDrives (and it’s Sinclair QL sibling vDriveQL) – so it wasn’t easy to obtain one. Especially because there seems to be a high demand for it. The first auction with five drives were through in a about 20 seconds (!). Nevertheless I were able to purchase one from the second or third batch – but of course I’ll had to wait some weeks for it’s arrival in central Europe (and pay some 10 bucks to the German toll authorities…). While waiting for the arrival of the vDriveZX I had enough time to organize an appropiate housing for it. 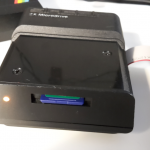 Of course an original ZX Microdrive case would be the best solution, but those are rare – and who want’s to rip apart – even more scarce – a still working one? I had luck and a very nice and helpful person from the german Spectrum Profi Club left a somewhat groggily ZX Microdrive to me! Thank you very much, Grautier! 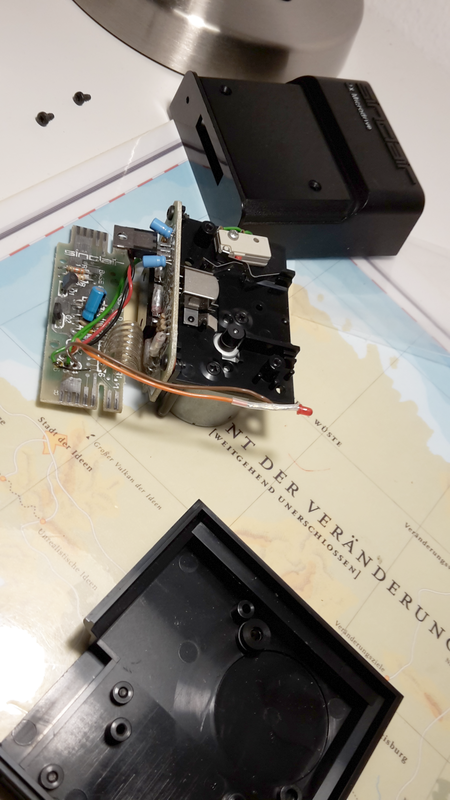 So the first step was to open that ZX Microdrive and dismount all innards (and – of course – store the old ZX Microdrive mechanics and electronics at a safe and cosy place). Into the empty case the vDrive hardware was incorporated. The construction fits neatly into the old case including the (now multi-coloured) LED. 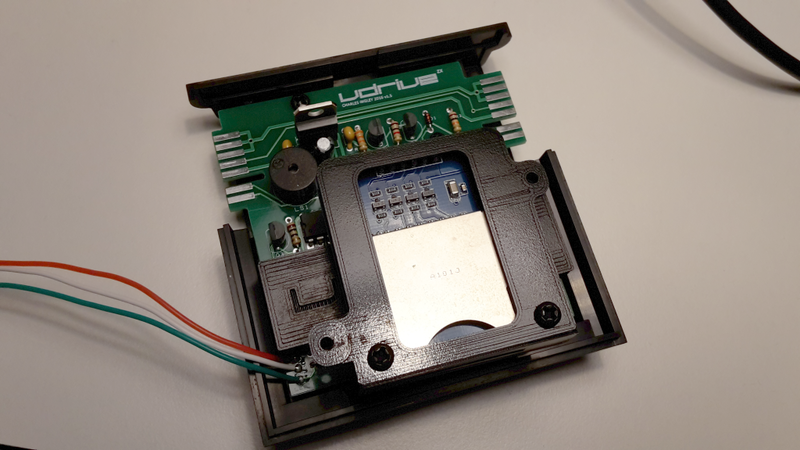 The SD card can now be mounted through the same slot as the cartridges. 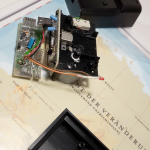 After assembling everything I connected it to the ZX Interface 1 – looks like a usual ZX Microdrive! Now came the most exiting step – first startup! So I powered up the system and the vDrive attracted attention to oneself by performing a little beep – yes, the vDrive has it’s own sound hardware! I obtained a new 4 GB SD card as the storage medium for the vDriveZX. To use it for virtual drives it has to be formatted and configured. This can be done with the inbuild vDrive toolkit software. When no SD card is inserted a single ZX Microdrive which holds a virtual cartridge is emulated. After power-on the toolkit can be loaded by the usual RUN command. 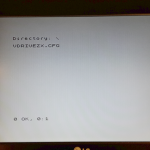 After the toolkit was loaded I inserted the FAT32 formatted SD card and typed .SDINIT. 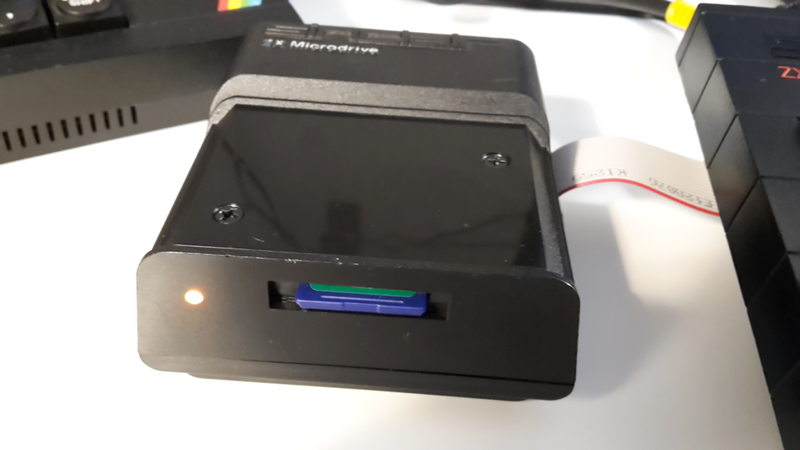 That’s it – the drive is ready to be filled with (virtual) ZX Microdrive cartridges.